Hydrangea arborescens, Hydrangea anomala, and Hydrangea paniculata are three terrific hydrangeas for cold climates. Remember those names. Write them down on the inside of your arm with a pen if you have to before you visit your local nursery, so that you will not be seduced by the flashy macrophyllas calling to you from every endcap. You know who I’m talking about. I’ve been growing two varieties of H. arborescens: ‘Abetwo’, which has the trade name Incrediball®, and ‘NCHA1’, which has the trade name Invincibelle® Spirit. I think both of them are far better choices for a cold climate garden than any macrophylla. This shrub started blooming in early July and hasn’t stopped. The flowers open up a deep pink and slowly fade, giving a pleasing multi-hued effect. Despite the heat and dry weather they experienced, the first flowers still look good, not browned or shriveled. And I haven’t babied it at all. It got no protection for winter and has not been fertilized, though it is in a moist location and gets about a half day of sun. Yes, I am very happy with this shrub, especially with Actaea simplex ‘Black Negligee’ providing the backdrop. Perhaps you’ve seen this image of the world’s largest hydrangea blooms? The blossoms are bigger than on Incredibelle Spirit, but they are by no means out of scale with the rest of the plant. Incrediball is a bit further back in the bed, so it gets a little less sun, but otherwise it has gotten the same treatment as Invincibelle Spirit. The soil was amended with organic matter, but neither shrub has been fertilized and neither got any winter protection. The one weird thing about Incrediball is all the flowers are blooming beneath the leaves. The blossoms are hiding underneath the leaves. I still can’t see the blossoms from the front of the bed, though we do enjoy them from the windows. This may be a function of plant immaturity, or it may be some other environmental factor. I am happy enough with this shrub that I’d be willing to move it to a sunnier location if that would help it get those flowers up higher. But I think I will give it another year where it is. We’ve spent a lot of time fussing and fretting over that other hydrangea, but I thought it was time to highlight a few hydrangeas that earn their keep without being catered to. How about you? Proven Winners sent me Invincibelle Spirit and Incrediball to trial in my garden. When I started gardening a couple of years back I was most interested in hydrangeas,viburnums,lily of the valley,Magnolias,dogwoods etc.When I found out that these things wouldn’t grow in my zone I became very sad but I didn’t quit.I tried many plants and I succeeded in growing clematis,adeniums,daylilies (hundreds of them),vigna caracalla,mucuna sempervirens,aristolochia gigantea,ferraria crispa,paulownia,kiwi fruits vines,akebia longracemosa etc which were not growing in my country before.I am now content with my zone but would always regret not being able to grow what you people can.It’s nature afterall. 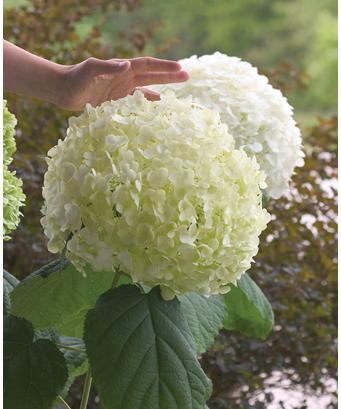 This incrediball hydrangea is incredible! I think I’ll have to buy a piece of land elsewhere in order to grow such things.We have all the zones in Pakistan ranging from glaciers to deserts. Because I live in Canada, I suspect that I am not eligible to receive Proven Winner test plants. I purchased mine from the authorized distributor here and I am so disappointed with both Incrediball and Invincible Spirit. They are scraggly and sickly looking and gave me and my clients a great deal of heart ache. Your success with them, encourages me to give them another season before I pull them out of all of the gardens I planted this year. Based on my dismal experience, I suspect that the plants that you were sent had been tweaked to perform better than commercial stock so that you might write a glowing review. If this sounds cynical, please forgive me. Never before have I had aggravation in my garden design business. It began when I started using Proven Wnner plants. I planted those two hydrangeas on the north side of my house, in clay soil that had had leaves dumped on it for 3 autumns in succession before they were planted there. So, acid clay soil amended with leaf mold. I know Proven Winners contracts out the growing to outside suppliers, and I suspect that is where the problem lies. The PW annuals come to me from an entirely different supplier and they certainly do appear tweaked–grown in a greenhouse, fertilized to within an inch of their short lives, and in full flower. They also come potbound and typically earlier than I dare put them in the ground here. Your cynicism is not unwarranted, just not completely in line with my experience. 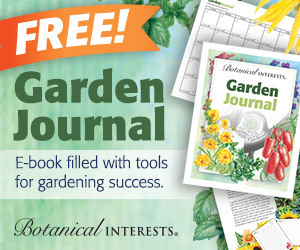 The FTC requires me to mention anything–such as getting plants for free–that might influence my review. Of course PW wants glowing reviews, but failing that they will at least take a mention, good or bad. I generally don’t mention when plants perform badly because there are so many factors that go into a plant’s failure, climate and user error being foremost. But I do know why the plants are given to me, so I do make a point of mentioning any that do exceptionally well. Those two hydrangeas, unlike the many H. macrophyllas that have been sent my way with the promise that they do well in cold climates, have actually thrived for me, and they arrived in quart pots, or maybe smaller. 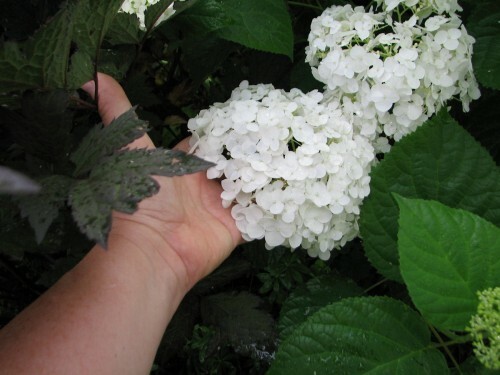 Hyrandra trophy……I have it here it here in NZ…..and hydrangea slipper….. I can’t say I thought much about hydrangea until moving to Japan. They’re native here, and so I see them everywhere now. Much to my surprise they grow in the mountains in Hokkaido (Japan’s northernmost island) where bitter cold and heavy snows are the norm in winter. Is it a question of variety then? And I’ve seen them happily growing in other mountainous areas we’ve hiked and visited. We also have them here in Tokyo where it’s hotter than the dickens right now, and those poor hydrangea are wilting like me. Joan, there are a lot of hydrangea species and I just looked in Wikipedia to see which were native to Japan. One of the species we are talking about is H. macrophylla, which is the one that has blue or pink flowers and which many cold climate gardeners have trouble with. That one is native to Japan. 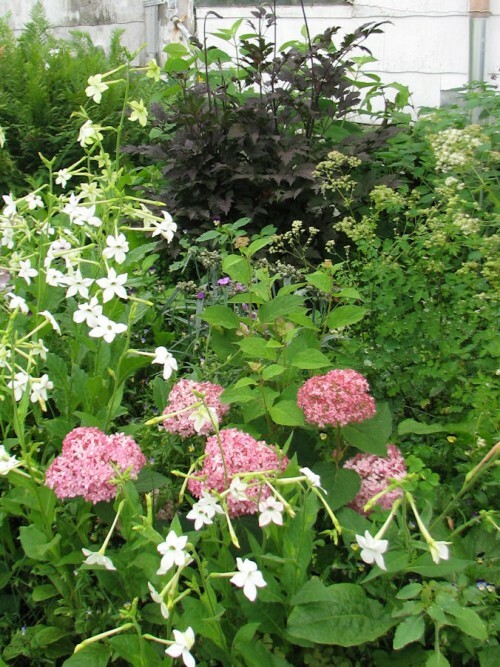 H. arborescens and H. paniculata are both native to North America and grow well in our cold climate. As to growing in bitter cold, I find that “bitter cold” is a relative term. A lot of people would consider 0F (-18c) to be bitter cold, but we would call it a mild winter if that’s the coldest it ever got. Some hydrangea species are hardier than others, so it could be the ones growing in Hokkaido are not the same species as the ones growing in Tokyo. And it is also possible that the ones growing in Hokkaido are not as cold hardy as their North American cousins. Just saw the tweet Proven Winners sent about your hydrangeas. They sent them to me too. My Invincibelle Spirit isn’t doing quite so well as yours (perhaps because the deer keep gnawing it down) nor is it quite as pink, but it is still a lovely plant. And like you, I find Incrediball to be better since it’s not so huge! Thank you for stopping by and commenting, Karla. Perhaps I will see you in Dallas? I wonder if Invincibelle Spirit will continue to perform year after year, or if it will burn out with time. ‘Pink Delight’ bloomed all white for me. 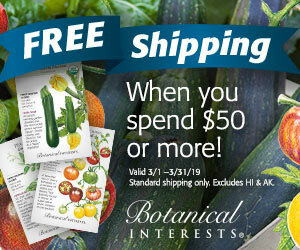 They probably sent the wrong plants? I am not familiar with ‘Pink Delight,’ but I assume if it bloomed white the wrong plant was sent to you. These are fine shrubs, to be able to tolerate your cold climate and the warmth that Dee and I share. Annabelle and PeeGee are tough as nails here, reliable bloomers and never get extra water. Fertilizer is not for droughts. One of our PGs has the largest blooms I have ever seen. Who knows what the root has tapped into underground, but something interesting no doubt. Every few years the macros will have a good show before frying to a crisp. This was one of those years. Lady In Red has been exceptional, same with the Oakleafs. I’m one of those people who was repelled by the freakishly large flower heads of Incrediball. If they stay the size of yours, I’d consider getting one. Of course the flowers would need to be visible, so I’ll wait to see how yours matures. I have an Invincibelle Spirit in a small container. (Its spot in the garden is currently occupied by a Forsythia whose days are numbered.) The poor little plant has bloomed it’s head off despite infrequent waterings and high temperatures. I think it’s a winner. I like how you’ve combined it with the Actacea. Invincibelle Spirit is a keeper but the Incredibelle Spirit really has my interest. Not having luck with all my hydrangeas this year.. 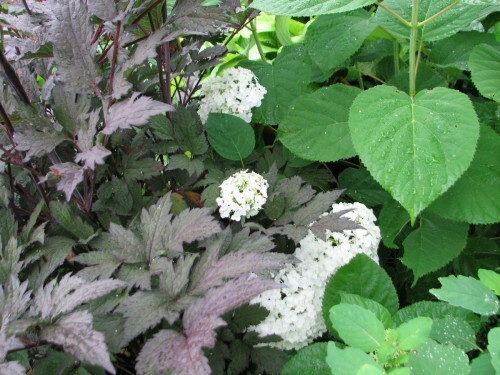 Both you and Les remarked on how well the H. arborescens hydrangeas tolerate heat. H. macrophyllaa comes in a wider color range and I guess that’s the best that can be said for it. I wonder how large the area is where it can truly grow easily and well, because it sure is marketed heavily. Both of these species are good for people who live in warmer climates as well. 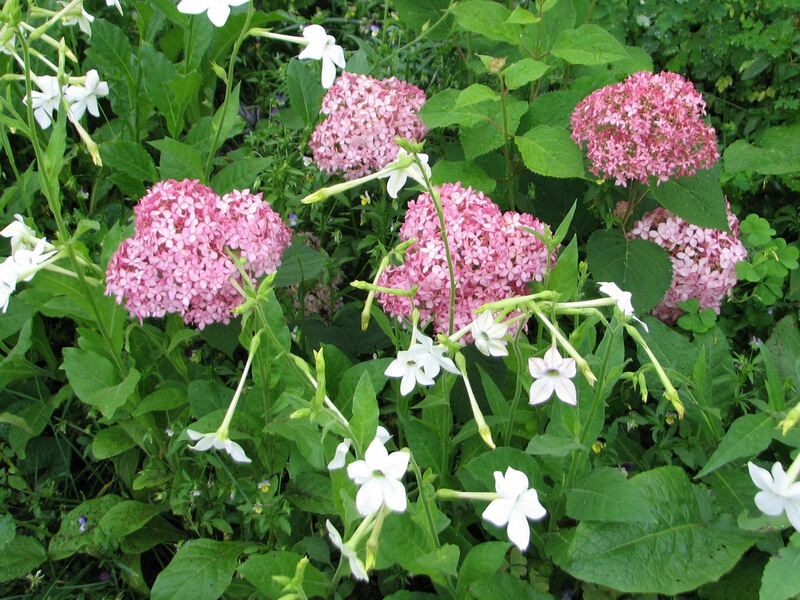 I have been amazed by the versatility of H. paniculata, as it seems to grow anywhere. At the garden center we started carry both of these new introductions. I have found Invincible Spirit to be very weak stemmed, but perhaps it was because of a rush to get them to the market. I ended up having to cut all of the back to encourage stronger stems. 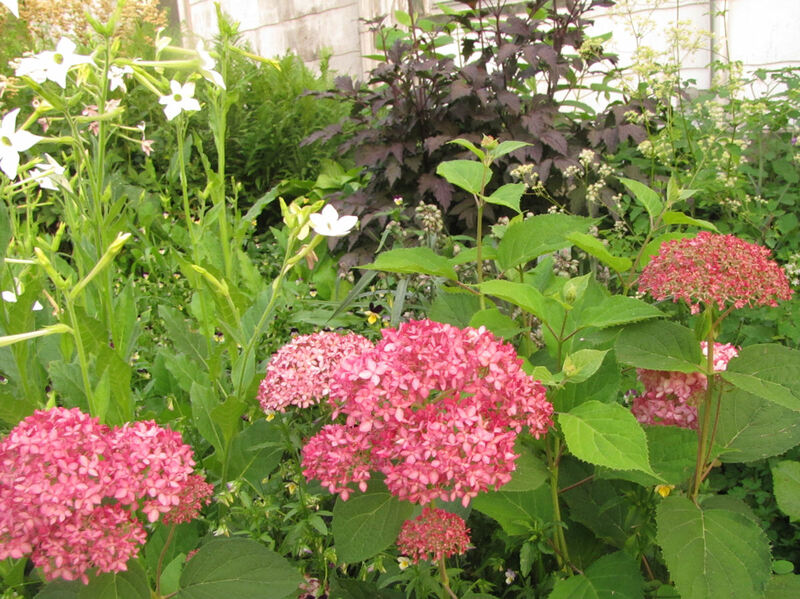 Les, the stems are floppy for me, too, but I think that is typical of a lot of the older hydrangea varieties and fits in well with my older house and jumbled cottage garden. To me it didn’t detract from the plant so I didn’t mention it. I’m glad you pointed it out. Hi Kathy – they’ve done so much to improve hydrangeas for our colder climates, thanks for spelling out the words to be written on our arms! Endless summer is really an endless flop here, and why bother when the wonderful oakleafs and paniculatas are readily available?